Over the past two books in this series Nick and Nora have proven themselves to be a crime-solving team to be reckoned with, and with this third and final book everything comes to a head as our questions are finally answered. The central theme of the series has been the unknown fate of Nick's original owner, PI Nick Atkins. Now museum director Violet Crenshaw has asked Nora to look into the disappearance of her niece, the last case Nick was known to be involved in. Then another mystery presents itself when the event planner for the museum gala Nora is catering is found dead following interesting altercations with a variety of people, and with everyone in costume things become even more complicated. Why would someone want the young woman dead? Why is Nick (or someone posing as Nick) sending cryptic postcards? And will Nick (the feline PI) be able to save the day once again and break his former owner's secret code? This book is a real brain twister and while it isn't your typical cozy thanks to international intrigue cryptic codes, it's a must read for anyone who has followed Nick and Nora's story from the beginning...and if you haven't, what are you waiting for??? 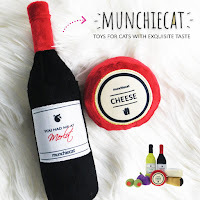 Since Angel Truffles got to interview Nick a couple years ago, Mudpie decided to have a little chat with the real-life cat that inspired the character of Nick, kitty blogger Rocco! Welcome, Rocco! Thank you so much for chatting with me today. Could you start be telling us a little about yourself and how you came to live with your human? The Human (as I lovingly refer to TC) thought a blog might be a nice idea, as she'd just self-published some paranormal suspense novels. She thought that a cat doing the interviewing was a different "hook" and, of course, I displayed a natural talent in that area. I like to think of myself as a sort of feline Barbara Walters, but I have heard some folk refer to me as a "ham". What's your favorite and least favorite part of being a kitty blogger? 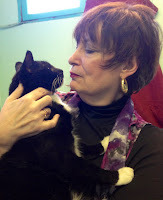 My most favorite part is all the wonderful authors I and the human have met over the years. We love them all, and we are constantly looking to promote new authors. (we're still trying to get Nora Roberts and Mary Higgens Clark, too!). Least favorite part? When someone misses a deadline. Fortunately, that doesn't happen too often, merow. 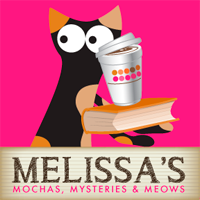 You're the inspiration behind the feline character of Nick in your author's Nick and Nora mystery series. How much of the character is fictionalized and how much is really you? I could tell you, but then I'd have to kill you, meow! Seriously, about the only thing fictionalized is the Scrabble tile thingy, although I have no doubt that I could spell out words if I had to. I am a rotund sort of fellow, just like Nick, and I do enjoy a good meal - and a good mystery, too! 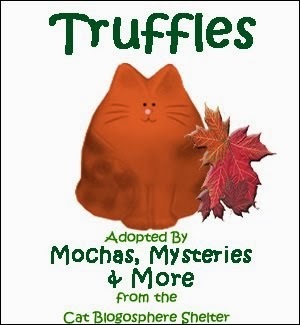 Tell us about the latest book in the series, Crime and Catnip. 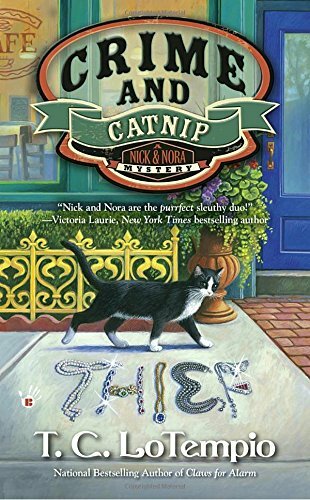 Crime and Catnip is the third in the Nick and Nora series. Nora is asked by the Cruz Museum director to look into the disappearance of her niece, and after doing so, discovers that the niece's disappearance might be tied to another one - that of Nick the cat's former owner, missing PI Nick Atkins. There's missing jewels, Interpol, hidden identities - we've pulled out all the stops on this one. What's your author working on now? 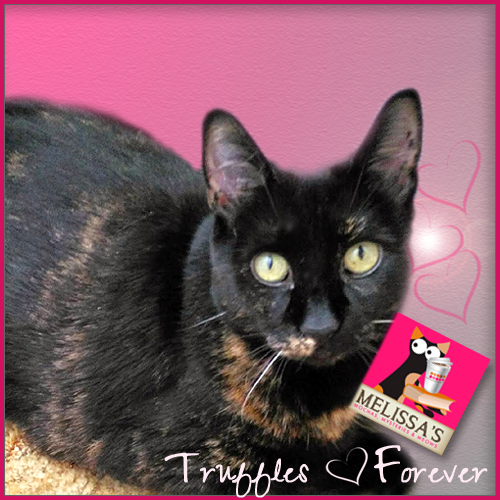 Right now the human is busy working on her new series for Crooked Lane, the Cat Rescue series. Unfortunately, I'm not the main cat in this one but I understand it's pretty good anyway, LOL. This series centers around Sydney McCall, who left a cushy job in advertising to come back to her hometown of Deer Park North Carolina and help her sister run the local animal shelter First time out while planning a fundraiser, one of the shopkeepers who opposed the idea is found murdered and the local Homicide Detective, who just happens to be Syd's High School crush, suspects Syds sister Kat. Syd gets help from an orange tabby named Toby to solve this one! In closing, anything else you'd like your legions of fans to know about you? 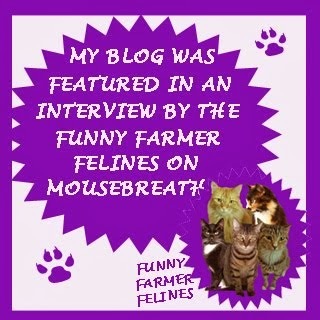 I myself am always available for interviews, merow! 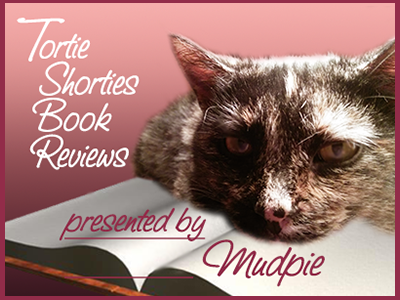 and we cordially invite everyone to check out my blog, www.catsbooksmorecats.blogspot.com where you will find lots of author interviews, giveaways, and news on the Human's latest projects! We will also be auctioning off an ARC of Purr M for Murder, the first Cat Rescue mystery, this month on Ebay. 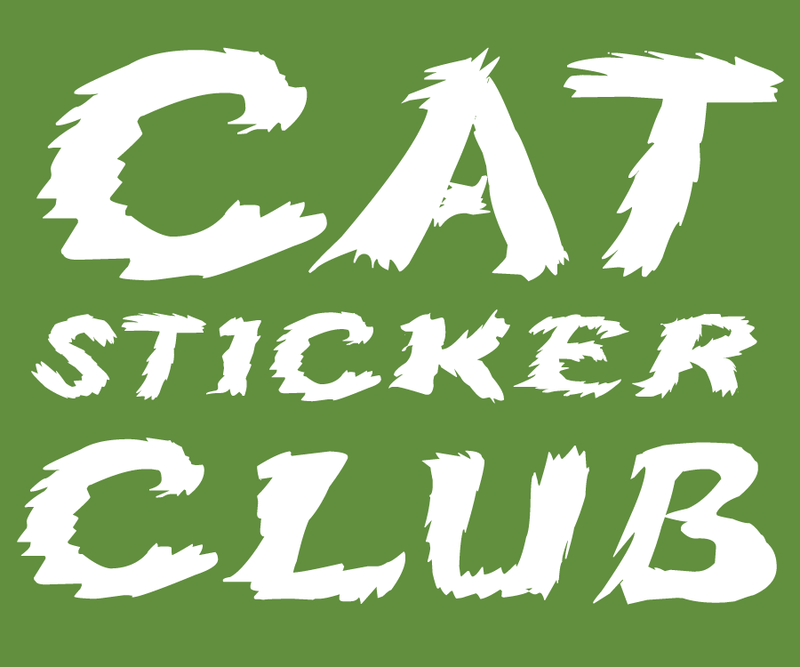 Proceeds from the auction will benefit the charity, KIDS NEED TO READ, for which I am an honorary spokescat! Giveaway: Leave a comment by noon eastern on Friday, December 9th for your chance to win a papaerback copy of Crime and Catnip. (US entries only please). I have listened to the first one and can't wait to get to the next one, this one sounds like it's a good one too. This sounds like such a fun read full of intrigue! Kitty Nick sounds like he makes a purrfect PI. And that was a fantastic interview, Mudpie and Rocco! Thank you for sharing yet another great read, and of course interview, with us! Great review as always Miss Mudpie. Thank you so much for hosting us, Melissa and Mudpie! Yes, sometimes it's hard to tell who's the bigger ham, Nick or ROCCO! and of course thanks for the kind review! You always do the best interviews, Mudpie. Another series to add to the list (and we fell in love with Rocco, so we HAVE to read the books now!). 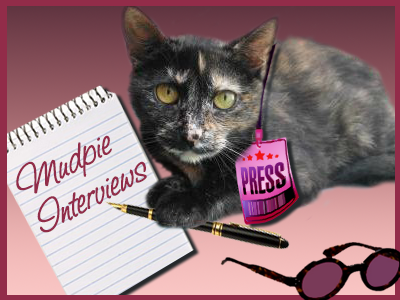 What an interesting interview, Mudpie! I follow your blog and also Rocco's blog and love both of them. This is a great series and I'm really looking forward to reading "Crime and Catnip". Keep up the good work Mudpie and you too, Rocco. Have a great holiday season. This sounds like a great series! I will have to add it to my list! Enjoyed Mudpie's & Rocco's interview!